Welcome! My name is Carrie and I am the owner of Tutu Gorgeous Girl. My daughter is the inspiration that set my dream in motion over four years ago and keeps it alive everyday. As a small girl my daughter would dress in her favorite tutus and little girl accessories and imagine herself in a world of princesses and ballerinas or as a little rock star diva. Today she is a little more grown up, as is her style. So, as her fashion sense changes and evolves, so do my designs. I take great pride in providing quality products and beautiful styles that are perfect for every age - from newborn baby girls to women celebrating a birthday or Mardi Gras, or mothers who want to dress up for Halloween with their daughters. I’m so excited that I can help bring something magical into other girls' hearts. 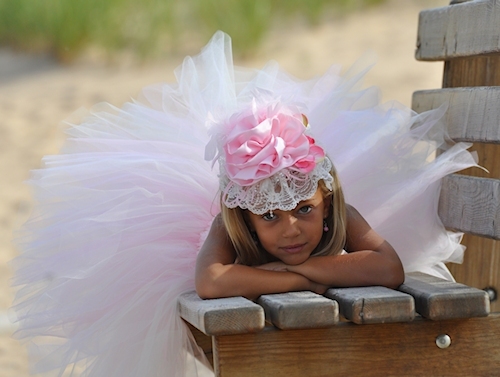 My goal is to make each tutu and accessory as special as your little princess. Please stay awhile and let the magic begin!